If you’re a livestock farmer, then you know the importance of making hay. With several hay bales, you can always have peace of mind knowing that you are ready to face the unseen, i.e., prolonged drought. Without proper preparation regarding animal feeds preservation, you will end up making losses due to poor or no production at all. In case of a severe drought, you may even lose your livestock which is a double loss. 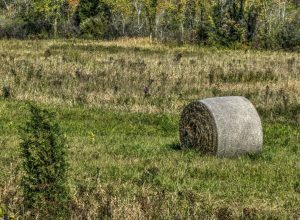 To prevent all these, you need to make sure that you are preserving enough hay bales in times of plenty. But, how do you make quality netting? The question of making hay bales is an easier one or hard one depending on what you already know. If you already have grass or fodder that you want to preserve, then the process becomes simpler to explain. First, you need to cut the grass for preservation. Once you cut the grass, ensure that you give it time, for example, 3 to 5 hours to weather. After this, you are ready to make the bales. When making the hay bales, there is no better way than to mechanise the whole process. With a baler, it will be easy and fast to make the bales which are very helpful if you are a large-scale farmer. Besides the baler, you also need other baling supplies which include baling twine and net cover. The baling twine is what will keep the baled hay together. It will minimise waste as you bale. The twine comes in different colours and so when buying, be sure to get a balers twine with a colour that is easily distinguishable at the time of feeding. It is not advisable to feed the twine to your livestock as it is not digestible and will end up in the rumen. The work of the net wrap is to cover the hay bales. Unlike before where the bales used to be stored under shade to avoid weather-related spoilage, a net wrap ensures the safety of the bales on the farm. The net wrap has unique features/characteristics that keep the baled hay safe from weather damage. For example, the water shedding features will ensure that there is no rotting. The UV stability features, on the other hand, will keep the baled hay safe from harsh sun rays. Therefore, using net wrap means that you can make as many bales as possible since no storage is required. The whole process is affordable, and there is no wastage at the time of feeding since the farmer can sell the excess bales to other livestock farmers and make some extra dollars to cover some farm expenses.